Cafés are any digital nomad’s best friend. Any entrepreneur (or student) will tell you that a decent place with coffee and WiFi will immediately turn into a hub for getting serious work done. The trouble, however, is the sheer number of choices available. As the café wave hit Singapore some years ago, it’s become difficult to keep track of those with stable WiFi connection and — if we’re lucky — a powerpoint. 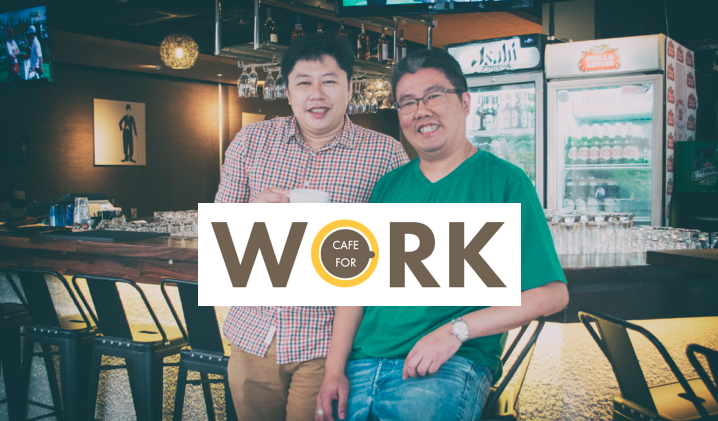 Serial entrepreneurs Ben Chew and Johnny Ho understood this pain, and decided to do their part for the community by starting a pet project called Cafe for Work, a Facebook community that shares their personal reviews of cafés to work from in Singapore. Since it began in March 2015, it’s gained almost 2.5K followers, branched out to other countries like Indonesia and Malaysia, and even led to the launch of a new website dedicated to reviewing and cataloguing the work capabilities of many cafés. With rankings based on WiFi strength, price of lattes, service, parking options, and powerpoint availability, Cafe for Work solves the age old problem of “which cafe should I work out of today”. 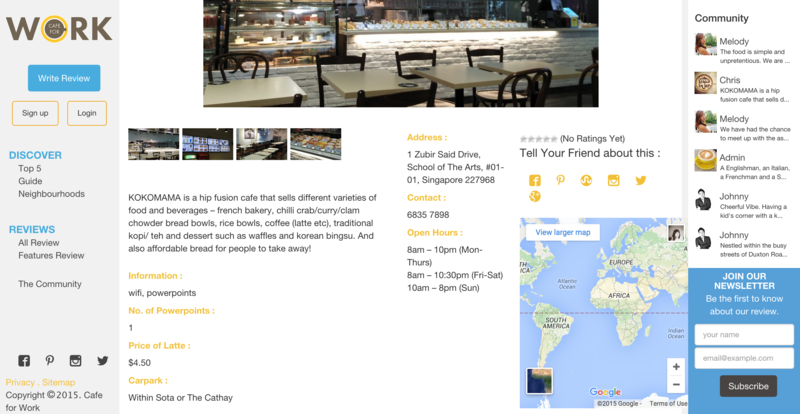 What makes this directory different from other café-reviewing websites is the shamelessly practical information it provides, including factors like how accepting the service staff was of them working from the café. 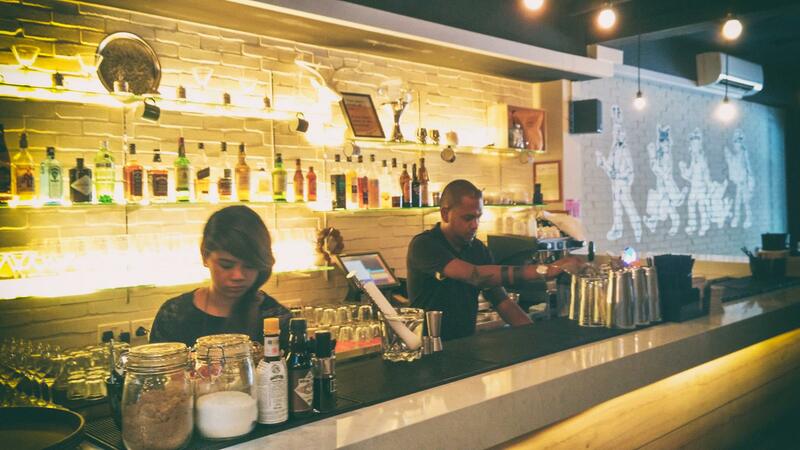 We spoke to Ben, a wearer of many hats including being the co-founder of Startup Jobs Asia and Managing Director of investment company Strategia Ventures Pte Ltd, about how he built up Cafe For Work, and the benefit of working from cafés. How did the idea behind Cafe For Work come about? I always enjoyed working from cafés despite having fully fitted offices, often to get soaked and get some work done in a totally different environment. It helps to sort of trigger deeper thoughts and in different perspective. I started to share some of my experiences using a hashtag #cafeforwork through Facebook with my connections, many of whom are fellow entrepreneurs and startup founders. The sharing ranges from how good the WiFi is, the furnishing, cost of a latte, etc. From these sharings, my friends have responded positively. On a particular afternoon, I was working from a café with an old-time buddy Johnny Ho. I shared this hashtag with him and how my connections/friends have responded to these sharings. We came to agree that it is hard for people to search for these café reviews through the hashtags as it is only possible over Facebook mobile apps, and not via desktop. We dived deeper and thought we can start a Facebook Page so that these café reviews become more searchable. Explain what the operations behind Cafe For Work were like when you first started the Facebook page. When we first got the Facebook Page going, we looked at it as a community initiative where we can share our experiences. With some random social sharing, we are surprised to see our followers growing well to more than 1000 within a week. We continued our café visitings and sharing our reviews on these independent cafés. During each visit to different cafés, we remained quiet of our intent to the café owner/staff so as to be able to do an independent review. Concurrently, we also engaged some café lovers, who are also our friends, to join us as independent café ambassadors based out of Singapore, Malaysia and Indonesia. Our Facebook Page continued to grow and we broke 2000 followers without spending any advertising dollars. Thus, we decided to build our site and it is LIVE only recently. What is the goal for Cafe For Work? Tell us something about Cafe For Work that would surprise people. Many independent café operators are going through a tough time, especially with the high upfront rent and the challenges of finding service crew, with some already planning to fold. Compared to big coffee chains/brands, each independent café gives a unique experience to cafe-goers and we hope to bring them closer to the community. We hope that through our market validation, we can create some interesting features to have a win-win proposition between cafés and café-goers. Cafe For Work is available on Facebook or through their website.